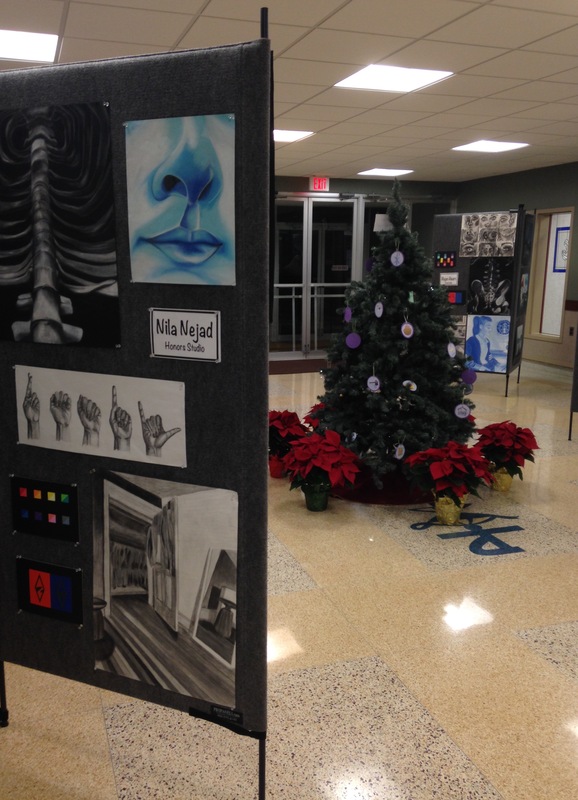 The work of Nila Nejad ’16, an Honors Studio and AP Studio Art student, is on display by the Christmas tree in IHA’s lobby. Thursday, December 10th, IHA students, teachers, family, and friends gathered together to celebrate the holiday season, with the school’s annual art show and holiday concert. The night began with an art show in the front lobby, displaying work from students in AP Studio Art, Honors Studio, Advanced Painting and Drawing, 3D Design, Design, Digital Photography, Art II, and Intro to Art. The National Art Honor Society kicked off the night by giving out warm cups of hot cocoa to the event’s guests, and the IHA Parents Club served up a variety of sweet treats, which got everyone in the Christmas spirit. 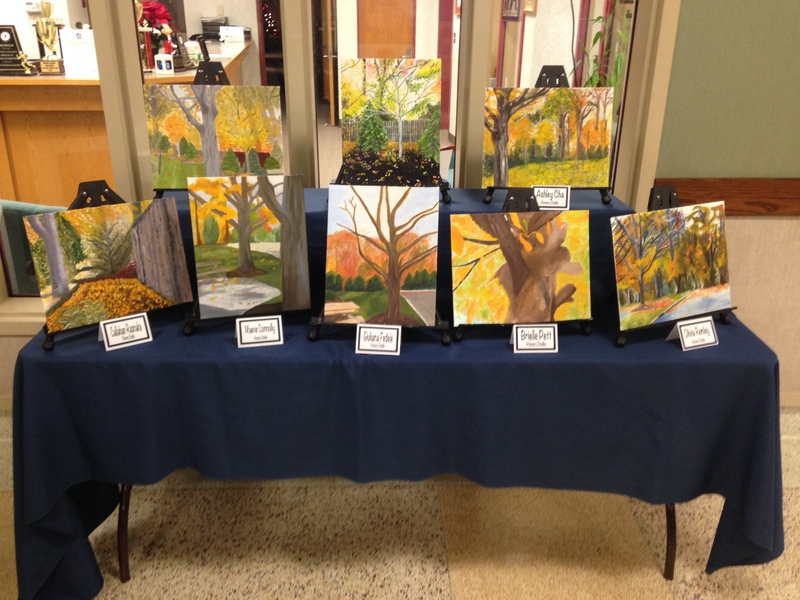 Outdoor paintings by the Honors Studio class were on display. The crowd then moved in to the PAC to listen to some holiday classics from IHA’s talented Chorus, Orchestra, Rock Band, and more. IHA music teacher Mrs. Maureen Buscareno led the entire show, which focused on a Central Park theme production. The musical groups sang everything from Christmas classics to modern holiday melodies, and received praise from the entire audience. The holiday art show and concert proved to be a night to remember, and the IHA community can’t wait to see what new things the arts department will offer.